Join us on the streets of New York as we march through the city demanding an end to all animal oppression. 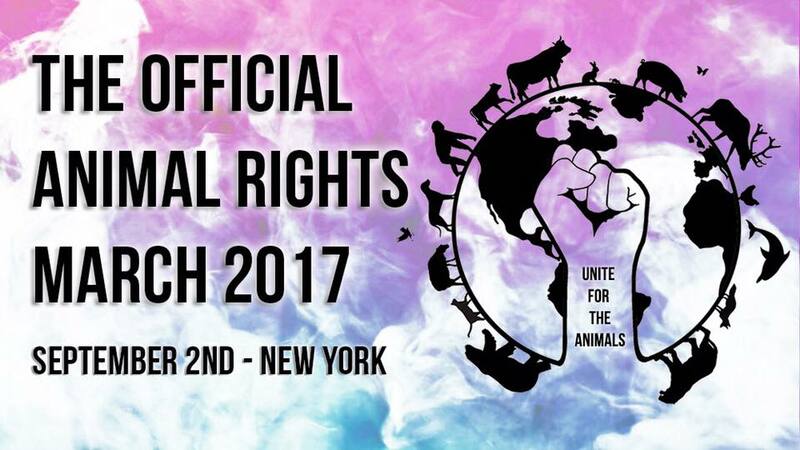 The animal rights movement is growing at an unprecedented rate and now is the time to join together and unify, let’s make our voices heard and show that the future is vegan. Last year Surge hosted The Official Animal Rights March in London and gathered together nearly 3,000 activists in what was one of last year’s most iconic days for the animal rights movement. We will be joining London this year by marching on the same day as them, showing our solidarity and unity as an unstoppable movement. Until all are free we will be on the streets fighting for animal liberation. BE THERE ON SEPTEMBER 2ND! Check out last year’s powerful march in London.